At Capelli, we offer a variety of coloring techniques, including Balayage, Ecaille Balayage, Ombre, Highlights (thin or thick depending on the desired outcome), Lowlights, Gloss, Base breaks, & Color Correction. Ecaille Balayage uses the same technique hence the word Balayage. However, this technique contrasts typical Balayage in that the colorist uses a mixed color scheme. The colorist palette consists of varying brown hues (caramels, bronzes, chocolate brown), the lightest of which would be a golden blonde. The lighter hues are applied to the lower half of the head while the roots are painted with the darker shades. This technique produces different natural-looking tones in the hair and is excellent for brunettes. 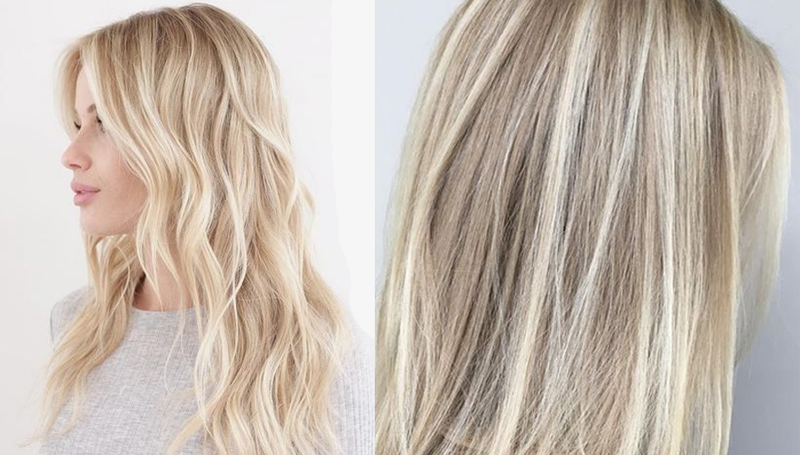 Highlights In highlighting a colorist will evenly pull strands of hair onto foils, and brush the evenly dispersed strands with bleach (hence they will be lighter than your natural shade). Then he/she will allow the strands of hair to process according to the desired This technique has the bleached strands reaching all the way to the scalp, and helps to evenly frame the face, accent bone structure, and face, or can create a slimming appearance (for face). Lowlights With lowlights they are the opposite of highlighting. With this technique, the base hair color is a lighter than the applied color strands. However, lowlights are applied using the same method utilized for highlights. This technique is also utilized to create dimension, framing, as well as to create the appearance of a slimmer face. Gloss This technique helps reduce frizz, creating a smooth and shiny appearance.The gloss is applied throughout the hair and is let to set and absorb for a fixed amount of time. This technique closes the cuticle of the hair and lends itself to maintaining your hair color, as well as deepening the tone. Glosses come in tints as well and can be an alternative to hair color in that it is ammonia free and semi-permanent. BaseBreaks creates a translucent color that in turn creates a blurred effect between one’s base color and the hair dye. It gets rid of any harsh lines of demarcation. So that as your hair grows out, the colors just blend softly together. Because the formula is applied to wet hair for such a short period of time, it’s actually less damaging to your hair than getting a new set of highlights done. Color Correction This technique is exactly what it implies correcting a color gone wrong. Most clients have box color in their hair or just had a bad color experience that leads to splotches and spotty color that takes time to correct and create a natural and beautiful result. Color correction takes time, expertise attention. It is a series of thought out steps and color formulation that will bring your hair back to a state that it becomes a source of pride. All this is done without compromise the strength and integrity of hair, thus requiring a master colorist. Babylights are super subtle and delicate highlights created using a technique that mimics the subtle, dimensional hair color seen on children’s hair. Hence “baby”lights. This look is very natural looking and creates the ultimate sun-kissed expression on the hair. This technique is very similar to foil highlights, with a touch of bayalage. The amount of hair in the foil is the main difference. Babylights require much less hair than traditional highlights. The result is subtle but beautiful and amazing for blonde on blonde dimension! Hair Painting is a huge trend right now.. With this technique, the hair is painted freely, by hand and usually with an actual paint brush and palette. Hair should be laid flat and is typically separated by plastic wrap. The lightener or color is usually not placed in any specific pattern but where it should be seen. This technique creates natural-looking and softer tones. Plus it is much faster than foils and there is no possibility of lines of demarcation! Ombre is the “Style” and Sombre is a subtle Ombre. The word ombre comes from the French word “shadow”. Ombre is the actual style. It is the transition of a lighter shade from a darker shade. Ombre is great for the more daring girl, it is definitely more noticeable and typically less maintenance. Ombre is kind of like color blocking, there are no dark pieces left on the bottom to help keep it natural, just a nice transition between the colors sort of like a color melt. While the ombre is a beautiful look, it is also something that needs to be done right! A bad ombre can make all the difference and please don’t try to do it on your own ladies! That’s the style called ombre and no one wants that! Then there is also Sombre, which is the exact same technique however the two colors melting are not as different which creates a more subtle look. Foilyage is another new trend similar to the above techniques. The process essentially combines the way balayage is painted and the vibrancy that foils achieves with the color. This technique is essentially the upgraded version on balayage and a saving grace for dark hair since it incorporates foil (meaning you get more lift).